Think health insurance won’t pay for elective surgery? Wrong. Health insurance will pay for elective surgery. 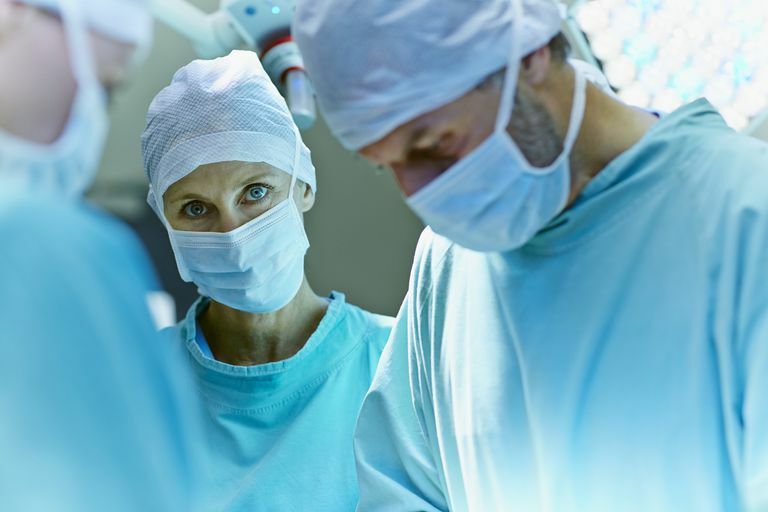 In fact, the majority of surgical procedures done in the United States are elective surgeries; most are paid for, at least in part, by health insurance. Even Medicare and Medicaid pay for elective surgery. The catch is that most health plans will only pay for elective surgery that’s medically necessary, and your health insurer’s opinion of what’s medically necessary may differ from your surgeon’s opinion. People think that health insurance won’t pay for elective surgery because they confuse the term “elective” with the term “not medically necessary.” They’re not the same thing. An elective surgery is a surgical procedure you may choose to have, or choose (elect) not to have. Some elective surgeries are medically necessary; some are not. Treats or diagnoses an illness, injury, deformity, disease, or significant symptoms such as severe pain. May be required for your body to function the way it’s supposed to function, or as close to that as possible. Elective & Medically Necessary. You have severe knee arthritis. You’ve tried treatments like joint injections, non-steroidal anti-inflammatory drugs, and even lost some weight. You have difficulty getting up and down your front porch stairs. Your orthopedic surgeon says you need a knee replacement. You schedule the surgery for next September because your grandchildren are coming to visit over the summer and you don’t want to be recovering during their visit. The surgery is medically necessary because you need it to allow your knee to function as closely as possible to the way it’s supposed to function. The surgery is elective because you can choose to delay it until September, choose to have it next week or choose to forgo it altogether and just hobble around and be in pain. Most health plans would cover this surgery. Non-Elective & Medically Necessary. You’re shot in the neck in a hunting accident. You’re losing a large amount of blood and you’re having trouble maintaining your airway. You’re taken by helicopter to the trauma center where you’re quickly taken to surgery. This emergency surgery was not elective. If you had chosen to forgo the surgery, you would have died—quickly. The surgery could not have been postponed. In fact, you were lucky to have even made it to the operating room alive. The surgery was medically necessary to control the bleeding, protect your airway, and repair the damage caused by the gunshot wound. Most health plans would cover this surgery, although, depending on the circumstances of the accident, there may also be some question of the shooter’s liability. Elective But Not Medically Necessary. You’re seeing signs of aging and don’t feel good about the way you look. You’ve tried Botox and dermal fillers, but you feel like you could look better. The plastic surgeon suggests that a full facelift is the only procedure likely to produce the effect you desire. You schedule it for next month. The facelift is not medically necessary because your face functions just fine. You can close and open your eyelids correctly, get food into your mouth, and keep it there. The facelift is elective because you can choose to have it or choose not to have it. Most health plans would deny this surgery. You’re likely to have to pay for it yourself. Most health plans will cover elective surgery that’s medically necessary as long as you follow the health plan’s medical management rules. If your health plan requires prior authorization, get it. If your health plan requires you use an in-network provider, do so. If your health plan does not agree that your surgery is medically necessary, it’s unlikely to pay for it. Even when a health plan covers an elective surgery, it rarely pays 100% of the cost. An elective surgical procedure would be subject to the health plan’s cost-sharing arrangements, so you may have to pay a deductible or coinsurance. But as long as the procedure is covered and you use medical providers in your plan's network, your out-of-pocket charges will be capped at whatever amount your health plan has set as its annual out-of-pocket limit (note that if your charges are incurred at the end of one year and the start of the next year—with a surgery near the end of December and follow-up therapy in January, for example—your out-of-pocket charges will start to accumulate again in January, assuming your plan year follows the calendar year). Sometimes a health plan may cover elective surgery even though it’s not technically medically necessary. For example, most health insurance covers breast reconstruction or breast implant surgery following a mastectomy for breast cancer. All non-grandfathered health plans cover sterilization surgery for women (tubal ligation), as it's required under the terms of the regulations that were developed to implement the Affordable Care Act. Some health plans cover vasectomies, although they are not required to under federal rules (some states do require state-regulated plans to cover vasectomies). Sometimes you may think a procedure is medically necessary, but your health insurance company’s medical necessity reviewer disagrees. In these cases, you have the right to appeal that decision (under the ACA, non-grandfathered plans must have both an internal and external appeals process available to members). Department of Health and Human Services. Health Resources and Services Administration. Women's Preventive Services Guidelines. Centers for Medicare and Medicaid Services. Center for Consumer Information and Health Insurance Oversight. Internal Claims and Appeals and the External Review Process Overview. April 2018.